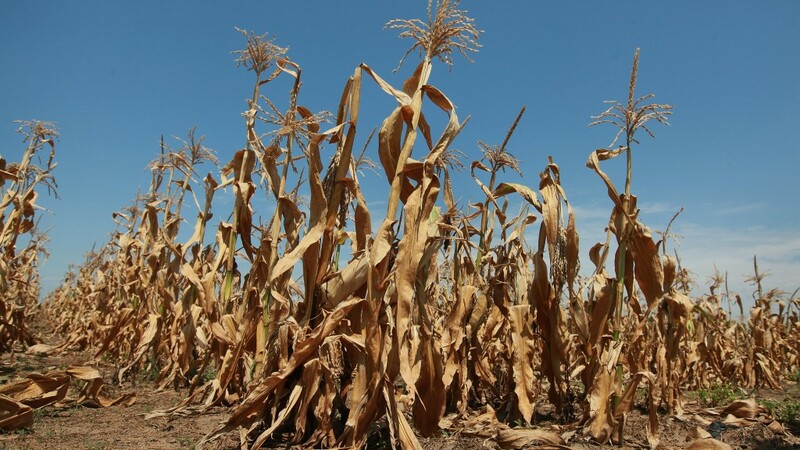 Corn plants struggle to survive in a drought-stricken farm field near Oakton, Indiana. The corn and soybean belt in the middle of the nation is experiencing one of the worst droughts in more than five decades. The past month was 1.39°F above the 20th century average of 53.6°F, second only to 2007 in the agency’s records, which go back to 1880. The Japan Meteorological Agency had January 2015 tied with both January 2002 and 2007, while NASA data put the month in a tie for third with 2002, behind 2007 as the hottest and 2005 and 2013 as the second hottest. All three agencies ranked 2014 as the warmest year on record by a slim margin, driven by the accumulation of heat-trapping greenhouse gases in the atmosphere. Nine of the 10 hottest years on record have all occurred in the 21st century, with the exception of the blockbuster El Nino year of 1998. There hasn’t been a record cold year set since 1911, while during the same period there have been 19 record-warm years, according to a Climate Central analysis. The 2014 mark was largely driven by considerable heat in the world’s oceans, as illustrated in the above graphic of sea surface temperatures released by NOAA. The map shows that parts of the Pacific were the second warmest on record and the Indian Ocean was the third hottest since 1982. “There’s a lot of warmth in the ocean,” NOAA climatologist Michelle L’Heureux said. Considering that the map shows such anomalous heat even compared to the past 30 or so years, when the signature of global warming had already emerged makes those rankings even more remarkable, she said. The oceans on the whole were the third hottest on record for January 2015, according to NOAA. Record ocean warmth was seen off both coasts of North America; the hot waters off the West Coast has helped reinforce the unseasonably high temperatures and dry conditions in that part of the U.S.
How global temperatures shape up over the rest of the year remains to be seen, but the ocean tends to hang on to heat for much longer than land areas, which will keep temperatures elevated for awhile. And as carbon dioxide and other greenhouse gases continue to be emitted, the dice will be loaded to warmer and warmer years in the future.